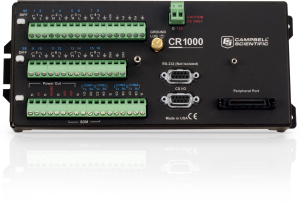 We're excited to announce the approaching shipment of the 100,000th CR1000 datalogger. Who will get the 100,000th CR1000? This Golden Ticket datalogger has been ordered and is scheduled for personal delivery by one of the founders of Campbell Scientific. We will document the journey of this Golden Ticket datalogger, including the buyer’s application and installation. Then we will share that with all of you. Reliability—Since the CR1000 was released in 2004, less than 0.2% have been returned for warranty repairs. And these dataloggers are used in the most extreme climates on earth. Flexibility—The CR1000 is used in more applications than we can list here: from weather to hydrology, structural to canal-gate control, research to operational applications. Accuracy—What good is a measurement if significant details cannot be detected? 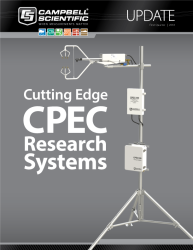 The CR1000 has been cited in research publications more than any other datalogger. The CR1000 has provided a successful solution for data collection for over 14 years, and now the CR1000X has stepped in (already at 2,000 units!) and provides the same great reliability, flexibility, and accuracy with even more features. Check out this blog article to learn how the CR1000X can meet your needs.